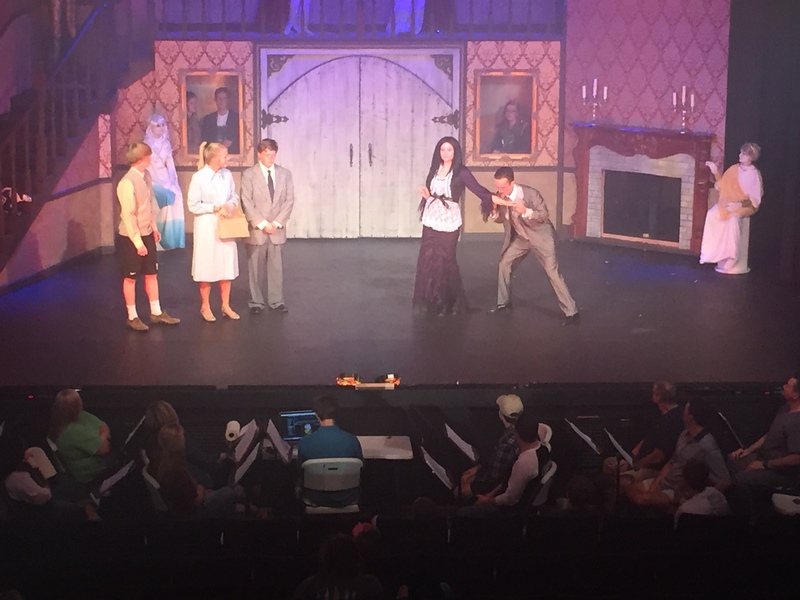 “The Addams Family,” the 2016 musical comedy production by the Union County Public Schools, opens Friday, Oct. 21, at the Cine Theater in New Albany. Photos here are from the dress rehearsal Monday night. The annual Union County Schools musical combines talent from all four campuses of the county school system for a single production. “The Addams Family” musical is based on the cartoon series of the same name by Charles Addams. The music and lyrics are by Andrew Lippa and the book by Marshal Brickman and Rick Elice. Dress rehearsal on Thursday night. First performed in Chicago in 2009, “The Addams Family” opened on Broadway in April 2010 with actors Nathan Lane and Bebe Neuwirth in the starring roles. 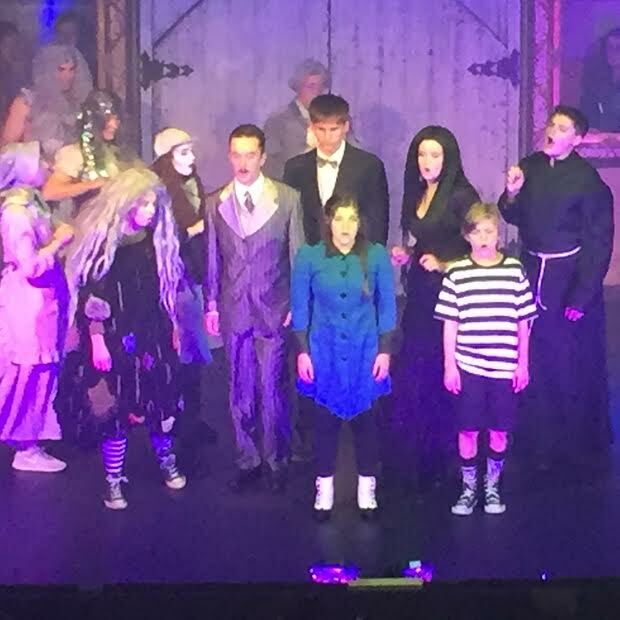 The first United Kingdom production of “The Addams Family” was announced just last month. It is scheduled to open at the Festival Theatre in Edinburgh, April 2017. There will be four performances at the Cine in New Albany: Friday and Saturday at 7:00PM; Saturday at 1:00 PM and Sunday at 2:00 PM. Tickets are $10.00 for Adults, $5.00 for children. To reserve tickets call the County School District office at 662-534-1960. Tickets must be picked up by Friday October 21st at 4:00 PM. at the District office at 250 Carter Ave. in New Albany.